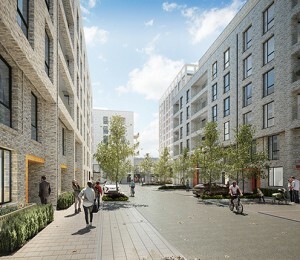 Avant-garde has regenerated a key brownfield site to offer 360 new homes together with office space, bars, restaurants, shops and extensive public realm improvements. 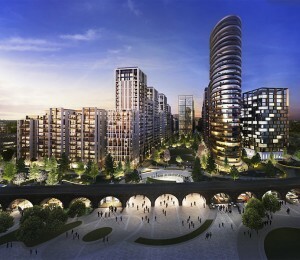 The site, above the Central Line tunnel and adjacent to railway sidings and a Conservation Area, provided various challenges. 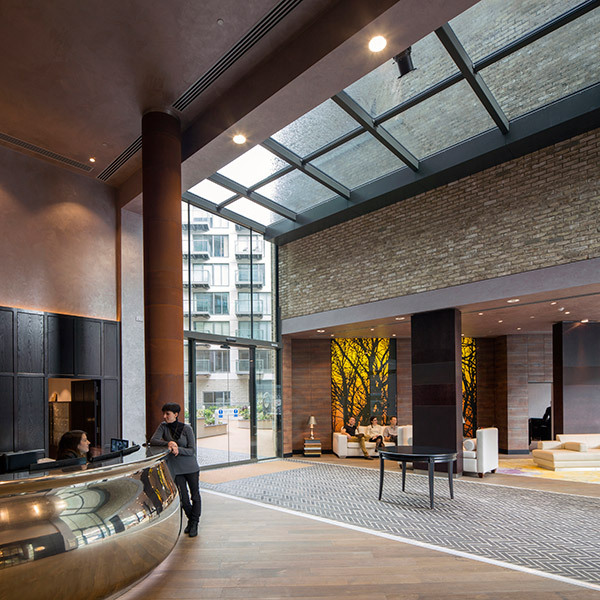 In order to overcome these, our design comprises four elements, with high quality finishes taking inspiration from the location – both at the edge of the City and at the heart of hip and artistic Shoreditch. 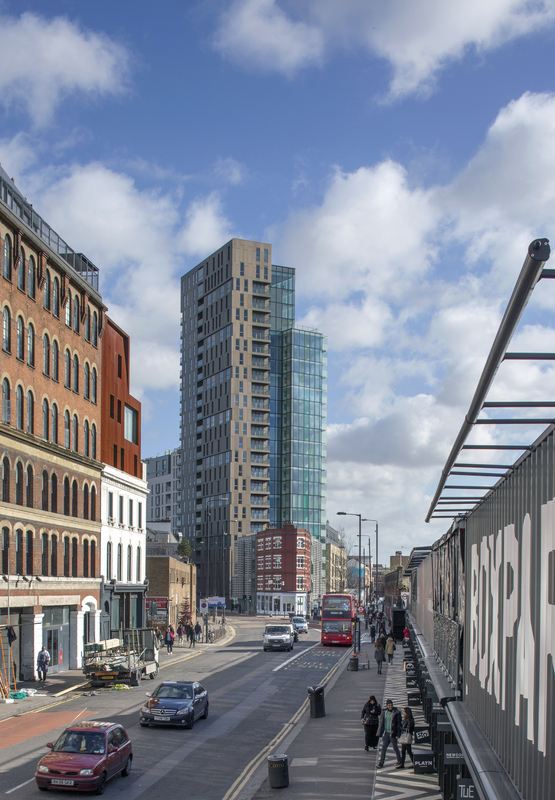 The sleek anodised aluminium and glass finishes of the 25 storey City facing tower effortlessly juxtapose with the lower level brickwork buildings on Bethnal Green Road. 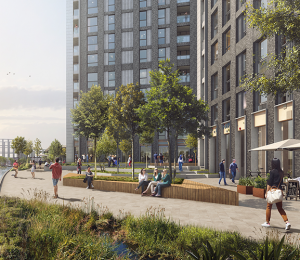 The scheme includes a variety of home types in a range of tenures to create a balanced community appropriate to the diverse area. 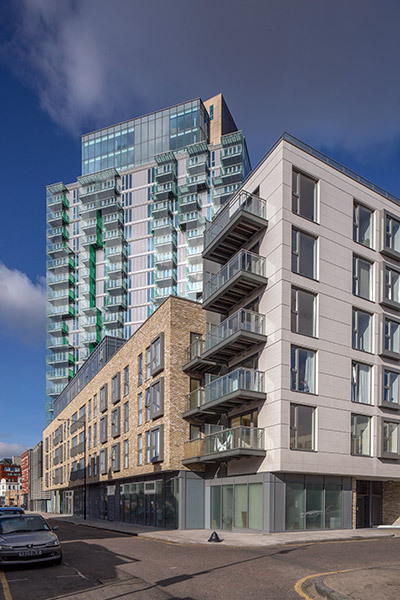 Alongside private apartments and penthouses, affordable homes for a range of family types are provided. Larger families are accommodated in innovative ‘scissor flats’, duplex dual aspect units of up to five bedrooms arranged to prioritise amenity space and privacy. 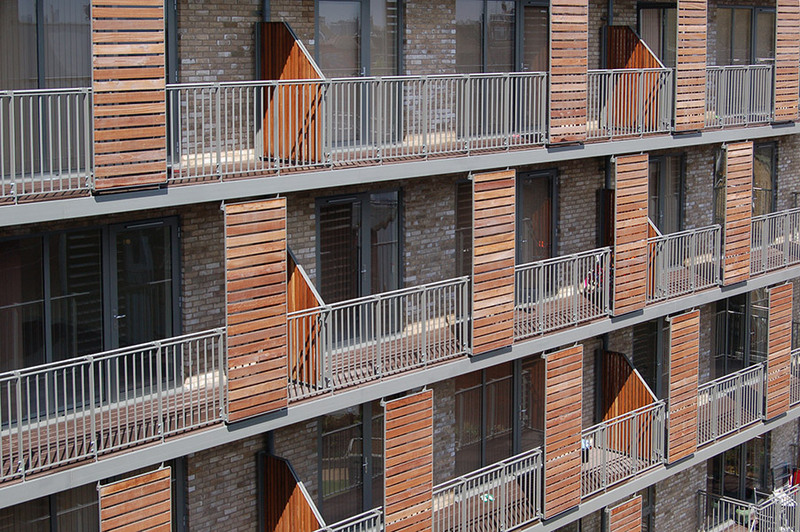 All homes have a terrace or balcony, many of which offer residents stunning views across the capital. 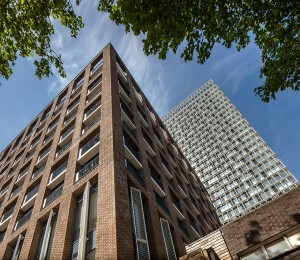 There are also generous communal roof terraces, as well as a resident’s gym, lounge and 24 hour concierge.